impact the community. GapBuster’s NSBE Jr. chapters in Wheaton High School, Sligo Middle School and the Center for Educational Partnership provide award-winning academic enrichment and team-building. Our students were big winners at the 2013 Region II competition in Charlotte, NC, besting many other schools in feats of academic prowess and teamwork. The Pre-College Initiative (PCI) program of NSBE Jr. provides activities to help students discover firsthand how engineering and technology relate to the world around them and discover the excitement of academic excellence, leadership, technical development and teamwork. Students participating in NSBE Jr. will receive a variety of academic and technical materials, including financial aid information, career counseling guides, SAT/ACT prep, self-paced college assessment, leadership development and much more. 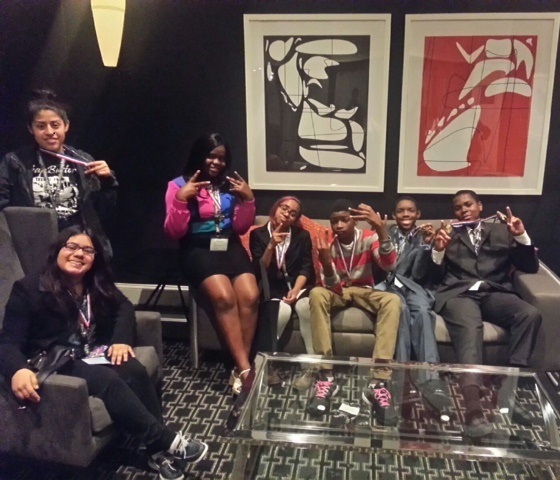 NSBE Jr. chapters participate in academic, engineering and design competitions across the country. NSBE conferences have various activities, workshops and competitions promoting academic and technical development. Also available are NSBE scholarships and awards for NSBE Jr. members. As part of GapBuster NSBE Jr. chapters, students will participate in tournaments at NSBE conferences which require teamwork and academic prowess. In 2013, GapBuster won the Region II NSBE competition in multiple categories. 2014 includes the NASCAR racing series, in which students build and race model cars. We succeeded in regional contests for our NASCAR teams. At the 40th National Conference, our Wheaton Knights placed second in presentation for the NASCAR Ten80 competition and third in overall points! Below is a slideshow from the convention featuring all of our teams. Currently meeting at Wheaton High School, Sligo Middle School and the Center for Educational Partnership in Riverdale, MD. Our NSBE Jr. program welcomes volunteers proficient in STEM subjects, to aid students in academic enrichment, prep for conferences with our racing gear and most importantly, to have FUN! Check out our Wheaton Knights around the internet!